SiteGround Review: Good Host or Just a Hype? SiteGround is the best new host in town. For the past few years, It’s known as the best hosting provider for its excellent services. SiteGround offers excellent shared hosting service for the price. SiteGround is one of the best hosts in the segment. With this SiteGround Review, We aim to provide you with a better understanding of the host and whether it is the one to trust for your websites. SiteGround is now listed on WordPress.Org recommendation list, which makes it one of the best indeed. SiteGround has grown to be one of the world’s best web hosting companies. Currently, they host more than One and a half million domains. When choosing a web hosting service, there are many things that you should consider. From price to features to customer base to server location, storage and so much more. SiteGround web hosting meets all these expectations and delivers well. It has different types of web hosting at pocket friends prices, an excellent customer service, numerous performance enhancing tools and so much more. SiteGround is a quality web hosting service provider that is ideal both for small and medium businesses and individuals. It has fantastic uptime, robust security, and top notch customer service. They offer a broad spectrum of web hosting services which range from shared Linux web hosting (ideal for small businesses) to dedicated cloud server solutions (ideal for large companies and websites). Speed is very crucial in web hosting such that when a client types the address of your website, the information is sent to the host server for the file. There are various factors which determine a website’s speed. However, your hosting server has the primary role of sending the requested information to the client as soon as possible. SiteGround has an excellent reputation because they have a good web speed. One of the contributing factors to a website’s speed is the TTFB (Time To First Byte). In a layman’s language, this is the time a server takes to send the first byte of a file in response to a client’s request. SiteGround has 4 major data centers in different parts of the world to ensure that the distance is reduced hence increased speed. The 4 data centers are Chicago, London, Amsterdam, and Singapore. These data centers ensure that your files are located closer to you so that they can be readily available upon a client’s request. SiteGround’s speed, reliability, and performance are highly satisfactory. According to reports, most internet users give a website 3 seconds to load a given page before they can consider moving on. 3 seconds is not much time, which means if you want your visitors to visit your page, you need a faster loading time. The page loading time has a huge influence on your site. For instance, if a page contains high-resolution pictures, it is likely to take more time to load. Therefore, the speed of the server is different from the response time. The server response time is measured by ignoring the content in a given page and measure the time it takes to get a requested file. According to tests that were carried out by various companies, SiteGround’s server responds within a fraction of seconds. The average response time for SiteGround is 190 milliseconds over a period of 6 months. The response time, however, is depended on the location of the server. For instance, the response time in the US is different from the response time in Asia. This is depended on the distance from the server. The closer the server is to the target audience, the shorter the response time and vice versa. In web hosting, uptime is crucial. The uptime percentage tells you on average how often you can expect your website to be unavailable. It is impossible for any web hosting company to claim 100% uptime. However, SiteGround boasts of 99.99% uptime. By any standards, that is an impressive uptime. A 99.99% uptime means that over a period of 6 months, your website might be unavailable less than 4 times. When you want to sign up to their website, it is effortless and they have an uptime monitor on their main navigation so that you can be able to see the total uptime in real time. If you want to test their speed, you can do so easily. In all their 4 data centers, they have their IP address which you can use to test their speed irrespective of your location. You can test their speed even without having an account with them. SiteGround has a monitoring software which notifies them in case of any problem so that they can rectify the problem. Therefore, if you are their client, you do not have to be worried that your website will be down at any time. Nowadays, online security breach is a common occurrence. Corporations, individuals, and government entities have fallen victims to cyber attacks. For anyone who owns a website, the security of the website is the number one concern. SiteGround has very reliable security. However, as much as they promise a secure website, you have a role to play to keep your site safe. SiteGround takes the issue of security seriously which makes it a big pro for websites more especially those dealing with e-commerce. Proactive patches – whenever a security threat arises, SiteGround sends patches to all their clients to alert them. Site isolation – when a site is isolated, whenever there is a security breach your site will not be negatively impacted. Site isolation works like a hosting firewall that protects sites against hackers. (WAF) Web application firewall – SiteGround offers WAF to all their clients which ensures that your website is protected against breaching. Their WAF is regularly updated. HTTP/2 technology – all of SiteGround’s servers support the HTTP/2 technology. This is the most secure technology against hacking. This is one of the security features that make SiteGround stand apart from the cloud. Regular malware and virus scans – SiteGround performs a regular malware and virus scan on your website. After every scan, they send you a report to notify you of their findings. This is another feature that makes SiteGround a lover of many. IP address blockage – they have the ability to block any IP address more especially when your website has been attacked. Leech protection – this is a security feature which allows you as the administrator of the website to prevent any of your site users from disclosing their password to outsiders. SSL certificate – the certificate is freely available to selected plans. Anti-spam tools – they have tools such as SpamExperts and SpamAssassin which helps to protect a website from spammers. Free SiteCheck tool – SiteGround’s SiteCheck tool allows you to easily and quickly check your web for any malware to ensure that your site is protected and your visitors are covered as well. SiteGround have very strong feature sets which make their web hosting the best. They have numerous email accounts and databases. 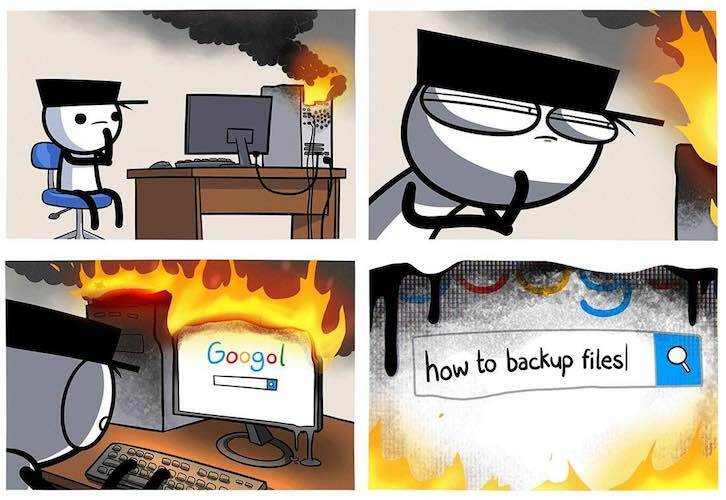 On a daily basis, they take backups of your files automatically. This is a crucial net safety routine which ensures in case your backup fails; they have your back. Besides that, they use the standard industry Cpanel for server management. Also, they have a more unadorned user account for the backend. If your website is a beginner, they offer you a free transfer, a free site builder and give you a free domain name for a whole year. You cannot get any of these features in any of the competing web hosting companies. That is not all, SiteGround has many more unique developer-oriented features. Most of their features are compatible with CloudFlare’s CDN. They have different hosting plans, and for each plan, they have special features. For instance, for their GoGeek plan, they offer free staging, free Git, and free PCI compliance. These features are handy when integrated into hosting. If you have a WordPress site and you want it to be hosted by SiteGround under their GoGeek plan, they have wonderful staging features for that. They have set up staging servers which allows you to edit any non-live file on your site and then make it live. However, if you have a live file that requires editing, you can do so via their “Hotfixes” feature. In addition to that, they have content management systems. They have built-in features which offer better performance for both Joomla and WordPress. This feature helps to avoid up selling fake WordPress specific features. They also have free SSL. This feature works perfectly at a click of a button. The SSL helps to prevent going to SSL or HTTPS on WordPress. 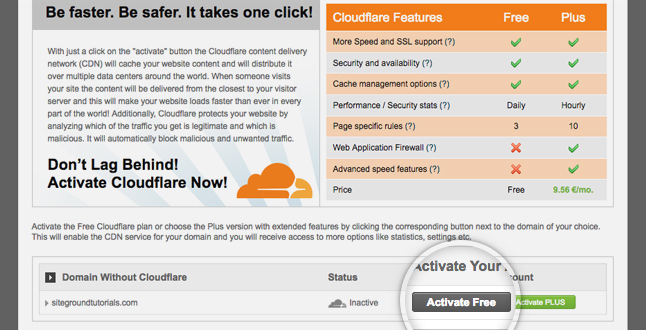 Also, they offer direct integration with CDNs such as CloudFlare. Most importantly, SiteGround offers a full spectrum of web hosting solutions. No matter your web type, you can grow your site with their plan from the simple StartUp plan to the Enterprise Dedicated Server for rapidly growing websites. Just like in any other business, customer support is very crucial. SiteGround is well renowned for excellent customer support. One of the outstanding traits of their customer support is their transparency and quick responsiveness through their different channels of communication such as live chats, post tickets, email and phone calls. These customer services are available 24/7. Their live chat and phone calls are instant, and they respond to emails in less than 10 minutes. Besides that, they have a very knowledgeable customer base with a customer comment monitoring support. They also have very dedicated employees. Their employees come up with different events such as technical events. These events are meant to help train developers. If you would like to fix things on your own, in their customer base, you will find lots of helpful articles on “how to” with guides, screenshots, tutorials, and videos. SiteGround is very transparent in all their dealings. Also, their community is very supportive. As compared to other companies offering the same services, their transactions are very straightforward. They also openly inform you about how many accounts you can have in your server under their GoGeek plan. In most cases, shared hosting leads to the creation of jam on the server due to many accounts. When you are aware of the number of accounts that you can have on your server, it will help your clients to enjoy high speed when they request for a file from your server. SiteGround also is known to support web communities. Communities such as Joomla and WordPress require a lot of time and money. SiteGround has supported more than 400 of these community events. Their dedication to community support and transparency are a major plus because it shows that they treasure a long working relationship with their clients. As a SiteGround client, you can learn how to deal with your customers. SiteGround is available globally. Their web hosting services are meant to suit both small businesses in developing countries to big websites in developed nations. In their hosting prices, they accept payments in different major currencies such as EUR, AUD, GBP, and USD. Besides that, they have numerous toll-free local lines and specific free country domains. SiteGround has changed the web hosting services from being America-centric to a global level. Also, their customer service is available both in English and Spanish. The site has an international outlook. If you signed up for a shared hosting plan and your company outgrows the plan, with a few changes they will set up a new hosting plan for you. The cloud server offers the auto-scaling services. It is not activated by default. The auto-scaling ensures that your website does not go offline but it will automatically be upgraded and they will send you a bill for upgrading. Auto-scaling is one of the best features of SiteGround’s cloud server and it is worth every extra coin you spend. SiteGround performs automatic updates on all installed WordPress plug-ins in all their hosting plans. In comparison to other web hosting companies, SiteGround is renowned for offering their hosting services at very affordable prices. Their prices are appropriate for small businesses, independent popular bloggers, startups and well established large corporations. If you do not know how to build your own website or you do not have enough time, SiteGround offers a free site builder. However, you can only decide to use the site builder before you open an account. This is because if you select site builder on your account, it will delete all the content created outside the site builder. This is a wonderful feature for site building with the SiteGround. When it comes to switching web hosts, this is a major problem for many hosts. One of the major advantages of SiteGround is that they have FREE web migration services. Other hosts like Bluehost and HostGator charge $149.99 for migration services. So SiteGround providing it for free is a big deal. The free web migration service is available to all WordPress, Drupal and Joomla sites. SiteGround’s web transfer covers the free transfer of your website (1 website) irrespective of its size, addon domain for Cpanel accounts, email transfer and FTP accounts. For you to move a website to SiteGround, you only need to fill a web migration form and wait for them to contact you. The whole website transfer takes between 24 and 48 hours. (i) StartUp – this hosting plan is designed for hosting only one website. It has 10 GB disk space. This space is suitable for hosting a site can get not more than 10,000 visitors in a month. Some of the features that come with Startup hosting plan include free setup, daily backups, one-click WordPress installation, web transfer, 4 server locations, full customer support and so much more. (ii) GrowBig – this is a hosting plan that is meant for hosting many websites. This plan comes with 20 GB of memory space. For each of the website hosted under this plan, it can have up to 25,000 visitors per month. 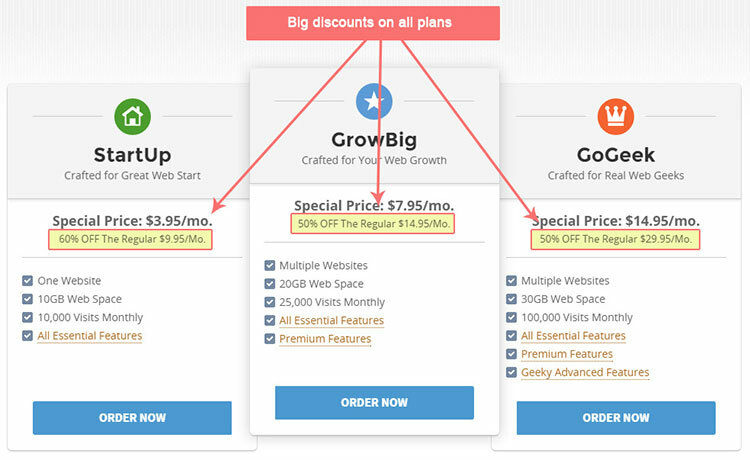 Under this plan, you will enjoy all the features that come with the Startup plan and more premium features like 1-year free wildcard SSL, super catcher, and others. (iii) GoGeek – this plan is suitable for small e-commerce websites. A small e-commerce website is one that gets up to 100,000 visitors per month. GoGeek is designed to handle such kind of visitors. Some of the main features that you will get from their GoGeek plan is one click Git repo creation, Joomla and WordPress staging to mention just but a few. Get discounted prices on all plan by clicking links on respective plans. Get these discount prices when you buy from this discount link! (a) Enterprise hosting – this hosting plan is ideal for sites with high traffic that experience challenges in server requirements and big businesses. They custom make this hosting plan to meet a client’s website needs. (b) Cloud hosting (VPS Hosting) – this is an upgraded hosting plan for shared hosting. It is more flexible than shared hosting because it allows you to multiple server resources on cloud architecture. Cloud hosting is ideal for big blogs, businesses and growing websites. (c) Shared hosting – this is a hosting plan that is meant for new and beginning websites. It is ideal for websites with low traffic because most of the resources are shared with other websites that are being hosted on the same server. (d) Dedicated servers – this is a server that gives you complete server for a website. It is more expensive compared to other hosting plans but it is more powerful. However, the limit to this plan is that you will be required to manage the server yourself. (e) WordPress hosting – this is a WordPress optimized version of SiteGround’s shared web hosting. In order to improve the performance of your website, it comes with an in-house WordPress optimization option. For all their hosting plans, SiteGround offers CloudFlare activation in just 1 click. For plans such as WordPress, they recommend the use of Cloudflare in their speed optimization guidelines. 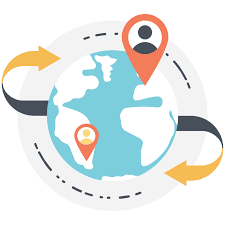 With only a simple click on the “activate” of the CDN (content delivery network), the content in your website will be cached and it will be distributed in their different data centers around the globe. If you want your site to have a faster loading time, on the settings tab change the settings of Cloudflare to minification of static resources, aggressive caching, and then lastly activate the railgun. The railgun will help to accelerate the connection between the server and the Cloudflare. One of the primary reasons as to why SiteGround’s server response time is fast is because they have many data centers. These data centers are located in different parts of the world. When you are signing up to their server, they give you an option to select your preferred server location. This is because the distance between the server and the user affects the loading time. A backup of data on your website is essential. This is crucial because both the dynamic and static data on your site is important. Some of this data, if lost is irreplaceable. Whenever you set up any data with SiteGround, it is paramount that you have a backup. However, if your backup method fails, they have your back covered. SiteGround performs daily backup for all their clients. Therefore, in the event, anything happens to your backup or you need to retrieve some data, you only need to contact their customer service and they will get you the information you need. Depending on the hosting you are using, they will give you a free daily backup copy. For instance, if you are using the GrowBig hosting plan, they will give you a free backup copy for your website and restoration service. SiteGround’s backup plan is like insurance to your website. In case of a security breach or a file deleted by mistake with their 1 click backup tool, you can get all your data back. SiteGround’s hosting plans have limitations for their usage. Most of their plans come with limited disk space. Instead of limiting the disk space of the plans, they should limit the domains or databases. Most of the clients who use the shared hosting plan struggle the most when they try to handle the number of visitors that visit their websites at the same time. So the main disadvantage is the number of visitors visiting a website instead of the number of files that live in a server. The low disk space more especially on the Startup plan affects the quality of content such as videos and image on the website. However, space is sufficient for most of the websites such as WordPress which requires minimal space – only 2GB. But some websites require more space for videos and images such as beauty blogs even if they do not have lots of traffic. 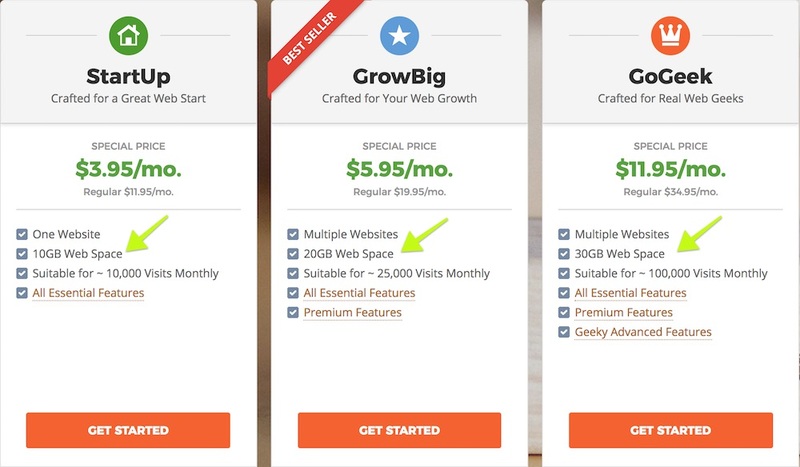 SiteGround has a limit on the number of resources that your website can use in a month. They refer to this limit as the “monthly allowance of “CPU seconds per account” the drawback with this limit is that if your websites goes beyond the set resource limit, SiteGround will put your site on hold for the remaining days of the month until the following month when your new monthly allowance is automatically reset. Therefore, if your website gets more than a thousand visitors per day, then it is advisable to avoid registering for their shared hosting plans. WPX Hosting is the right choice in that case. Instead, consider using their cloud hosting plan because it comes with more resources. Every web hosting has its target audience. For SiteGround they are majorly targeting developer market. Their major target is developers who are creating websites for businesses. The major limitation to having a specific target audience is that it limits the other audience that might want to use your services. Most of SiteGround’s features are not suitable for the general audience as compared to their rival hosting companies. For instance, they offer Git integration and WordPress staging features, as much as these features are good, a common person who would like to have a website will not benefit from these features. In fact, even small business developers cannot use such features. Though these features are not compulsory to use, so no need to worry much about that. There are very common marketing bonuses such as free premium WordPress themes, Google Adword credits, free iStockphoto credits, Facebook ad credits among others that are lacking at SiteGround. But do you want free stuff or quality hosting? If you are looking for a reliable and fast global web hosting company that has excellent features and customer service, SiteGround is a perfect choice. Their hosting plans are pocket-friendly and each hosting plan has salient features. If you are starting a website for the first time, Siteground will offer you the best space to grow your website. We even compared SiteGround with Bluehost and the final result is in favour of SiteGround. Now that you know what SiteGround has to offer, you can choose a web hosting plan that will suit your website needs. Remember, you can start with a simple plan and upgrade later as your website continues to grow. If you have a simple HTML or static website, it is advisable you choose SiteGround’s StartUp hosting plan. If you are running an e-commerce website or a WordPress with staging and Git features, then the GoGeek plan is ideal for you. And finally, if are a blogger, and you need a simple WordPress or Joomla website, then go for the GrowBig hosting plan. That’s it for our comprehensive SiteGround Review. Do you have anything to add? Comment below! SiteGround is an excellent web hosting service you won’t regret using. Sign up using our discount link given below and receive exclusive SiteGround discount. Even after being one of the most popular hosts, SiteGround still cares about providing quality Hosting. You won’t be disappointed with SiteGround. Get exclusive discount when you visit SiteGround through our link.